If you want to experience the nightlife scene in Gdansk, this is the tour for you. 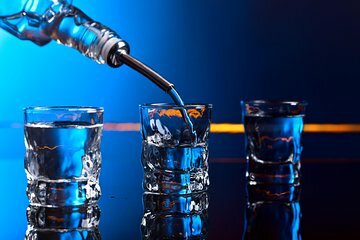 You’ll save hours researching the best bars to go to, and instead have a guide to take you on a vodka marathon to five different bars, with 11 shots included. You won’t have to worry about getting hungry as Polish appetisers are included. Have a fun-filled event with challenges at each bar. If you want to continue partying until the early hours, VIP club entry is also included.